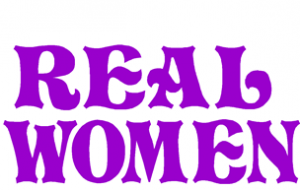 REAL Women (Refreshment Encouragement And Laughter) is the women’s ministry of Strathmore Christian Fellowship aiming to support and encourage women both within and outside the church. Meeting fortnightly during term-time on a Friday morning, all women are invited. In practice, it is mainly young mums who take the opportunity to share life and prayer needs at this exhausting stage of life. At the start of the year, anyone opting to take part is allocated another woman to be their encourager. Throughout the year the encourager prays for their allocated person and anonymously encourages them by way of cards, notes & presents. Around Christmas the group have a meal together at which each encourager brings a present for their person. It is fun being a blessing to someone in secret! From the other side it is good to know someone is dedicated to pray for you for that year. Events over recent times have included the ‘Flourish’ Conference at Sheddocksley Baptist Church in Aberdeen and the ‘Brave’ Conference at Arbroath Town Mission (at which our own Elizabeth Brown was one of the guest speakers); a ‘Christmas Table Centrepiece’ evening in Northmuir Hall; a prayer breakfast in Bridges; and a lunch at Kirriemuir Golf Club with guest speaker, Margaret Peat, the Elim Pentecostal Regional Leader’s wife. REAL Women has proved to be a great source of blessing and strength.